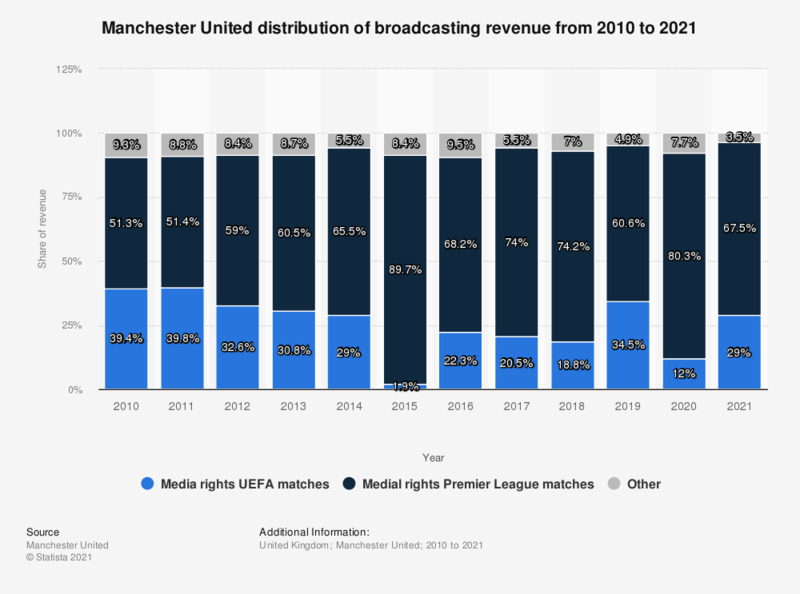 The statistic shows a percentage distribution of Manchester United's broadcasting revenue from 2010 to 2018. In 2018, Manchester United generated 74.2 percent of its broadcasting revenue from Premier League media rights. * Fiscal year ends June 30th. Which of the following are the main characteristics that are typical of Manchester United?